The City of London’s regulators aren’t looking good after a mauling by parliamentarians. The Bank of England governor and the Financial Services Authority chairman each took a blow in the latest hearings into the Libor rate-fixing affair. Adair Turner, the FSA chairman and a candidate to be next governor, had to explain why he was happy that Bob Diamond should stay running Barclays on June 27 only to change his mind by June 29. His explanation – that, in the intervening period, there had been a public outcry – wasn’t terribly satisfactory. Surely, the regulator should be ahead of the lynch mob not responding to it? Meanwhile, Mervyn King, the current BoE governor, had to explain how he failed to spot in 2008 the possibility that Libor was being manipulated despite two red flags: an article in the Wall Street Journal that raised concerns that banks were “fibbing”; and a memo to him from the New York Federal Reserve which recommended measures to prevent “accidental or deliberate misreporting” of the rate. King’s response was technical: that, in any market, it is normal to have mechanisms to combat misreporting. So the fact that the NY Fed – then headed by Tim Geithner, the U.S. Treasury Secretary – made such a proposal didn’t count as a suggestion that manipulation was taking place. What’s more, neither the NY Fed nor the WSJ provided evidence of misreporting. It is, though, extraordinary that King failed to put two and two together. The governor also had to answer the charge that he had overstepped his authority by pressurising Barclays’ chairman to get rid of Diamond, given that it is the FSA’s job to supervise banks. King was guilty of double-speak: he thought it appropriate to push out Diamond, even though this wasn’t in this remit, and yet his excuse for failing to spot the Libor scam was that it wasn’t his job. Parliamentarians, however, didn’t make the charge of abuse of authority stick. They didn’t even ask the obvious question: what exactly did King tell the Barclays’ chairman? With MPs now heading off on holiday, any further inquisition will have to be down to the BoE’s directors. Hopefully, they will take their responsibility seriously. Hugo Dixon: Who will watch the Bank of England? The Bank of England’s board of directors, known as the Court, meets on July 18. Its non-executives are expected to quiz Mervyn King, the governor, about how the Bank of England handled the Libor affair. The House of Commons Treasury Select Committee on July 17 finished its current batch of questioning on the scandal surrounding the rigging of the London Interbank Offered Rate. 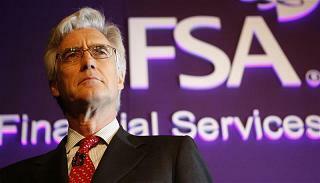 King and Adair Turner, chairman of the Financial Services Authority, were questioned.